Serving Entrepreneurs, Building Community & Growing Businesses in Bradenton & Beyond! Station 2, where passion meets productivity. Being around people with passion always leads to creativity and Station 2 does that for me. From a productive writing atmosphere to networking sessions that never fail to serve up intelligent, driven people, this is where I get it done. My experience at Station 2 Innovation has been nothing short of fantastic! I moved to the Bradenton area a little more than a year ago, and I found Station 2 before I even moved into my house. 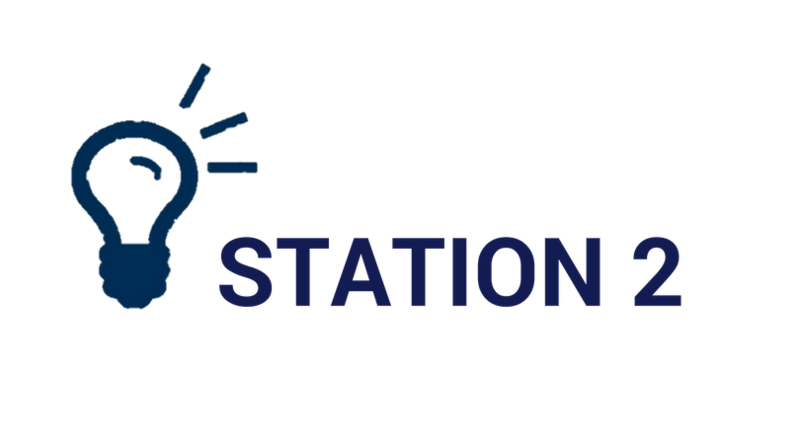 There are so many positive things to say about Station 2. This is a caring community where people grow and lives are changed. In addition to flexible and ample work space, the lunchtime and after hours events have been educational, informative, and valuable to my business and to me. I have met many people in workshops and people just passing through that have really helped my business as I have gotten my footing in Florida. The owners of Station 2, Stan and Sara and their staff are top notch all the way – high integrity, reliable, selfless, extremely knowledgeable are the words that best describe them. They attract successful people because of their exceptional character and expertise in business problem solving. You have to check this place out, and say hello to me when you do! This is an amazing co-working location that I highly recommend for anyone looking to grow their business! The resources and contacts we’ve made from their events have been invaluable. A great place for community meetups. I’ve been involved with Station 2 since I moved to Sarasota at the end of 2014. I had recently transitioned to running my software-as-a-service business full-time and really appreciated the resources that Stan and Sara were offering at Station 2. I’ve been inspired and illuminated by the many Tuesday evening presentations I’ve attended, and have established several important business relationships with people I’ve met through Station 2. This includes my attorney, Peter Nealis, my SEO advisor, Scott Carvin, a fellow developer, Wayne Kessler, as well as a new business partner, Clark Southworth, with whom I’ve developed an application using my platform which he is marketing to managers of condominiums and gated communities. Station 2 has really helped me grow my business! Since being introduced to Sara and the others you meet regularly at Station 2, the doors of opportunity, vision, connections and learning have grown like a mustard seed planted in my journeys path. I am and will continue to attend the workshops help and look forward to meeting even more incredible people. This letter is to express my admiration and gratitude for the work you do at Station 2. Your guidance and the strong business community you foster have had a significant positive impact on my transition from a career of working for others, to a far better situation of working on my own. Your many events, co-working environment, and active fostering of startup businesses enabled me to discover several new opportunities. I have been invited to give technical presentations, discovered teaching opportunities at both State College of Florida and Florida State University, and am now a provisional member of SCORE, a professional business association. You have allowed me to meet dozens of motivated, creative people who inspire with their success and vitality. I am especially grateful for your weekly Station 2 Entrepreneurs & Startup talks. Each session is stimulating, unique, and never fails to spark new ideas. Through your efforts, I have met authors, inventors, child prodigies, and lots of people who are just plain interesting. It seems that each week I find some new potential for creative thought and action. The sense of community that you promote is infectious. Everyone is involved in some stage of entrepreneurship and we feed off each other’s enthusiasm while learning from each other’s experiences. The era of the virtual worker is here. The naturally collaborative environment of the brick-and-mortar workplace has disappeared for many of us. Station 2 is an effective alternative. I strongly believe in your vision for Station 2 and congratulate you on its implementation. I look forward to more events, talks, and (of course) all the new interesting people I will meet.